Here's How Fast Tesla's Model 3 May Be -- Doesn't It Seem Really Slow? Some possible performance stats for the Model 3 have been revealed. Given all the hype around Tesla's (TSLA - Get Report) upcoming Model 3, it's probably reasonable to be slightly disappointed by one big speed metric that is now swirling around Twitter. 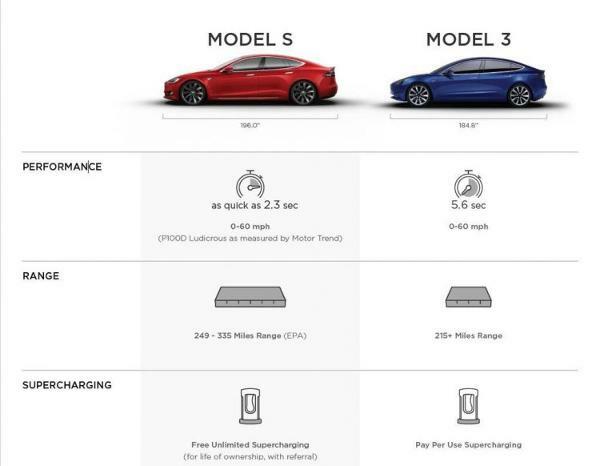 The Model 3 has a 0-60 mph acceleration time of 5.6 seconds, according to a new retail comparison chart (seen below) first shared online by the Tesla Model 3 Owners Club. That's not too far removed from the 6.1 seconds 0-60 mph time on the gas-powered, relatively blah 2017 Toyota (TM - Get Report) Camry XSE with a V6 engine. No offense to Toyota, of course. Tesla will begin to deliver the Model 3 to customers on July 1. The electric car company plans to churn out 5,000 Model 3's per week before the end of this year, and 10,000 per week next year. Shares of Tesla have surged more than 45% to $313.94 so far this year on expectations for a strong debut of the Model 3. For Tesla's sake, hopefully nobody is looking to race in their shiny new Model 3 as their might be some letdown. Editor's Pick: Originally published May 25.